I spent the closing days of 2014 robbed of the power of speech. While I would prefer the romance of political suppression, the conspiracy was entirely viral; laryngitis that is. For those unfamiliar with my real life incarnation I soliloquize like a speedfreak Sorkin character on a long car trip. Verbosity is my social currency, professional capital, and primary superpower. A silent A.J. is sadder than a mud caked hawk, bound and dragged by mice through its high school reunion; an unracked raconteur condemned to silence and listening. I legitimately fear for the mental health of my friends and clients when my voice fully returns. 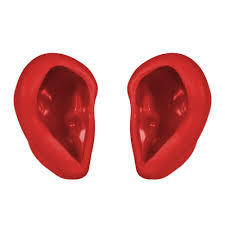 In other new: my ears now mysteriously heat up and turn red. Sally thinks it’s a syndrome. I suspect it is some ingrained capacity to detect evil magics used against me. Now whether this is proof of some latent power manifesting, or an uptick is evil magical aggression is debatable, but so far the only down side is Sally chanting “Red ear, Red ear” and taking pictures for some future collage. I have not ruled her out as a suspect.